The Private Hospital Tsepeti has set up an interdisciplinary on-call service for medical treatment of both the local population and holiday makers in the area of Chania and West Crete. 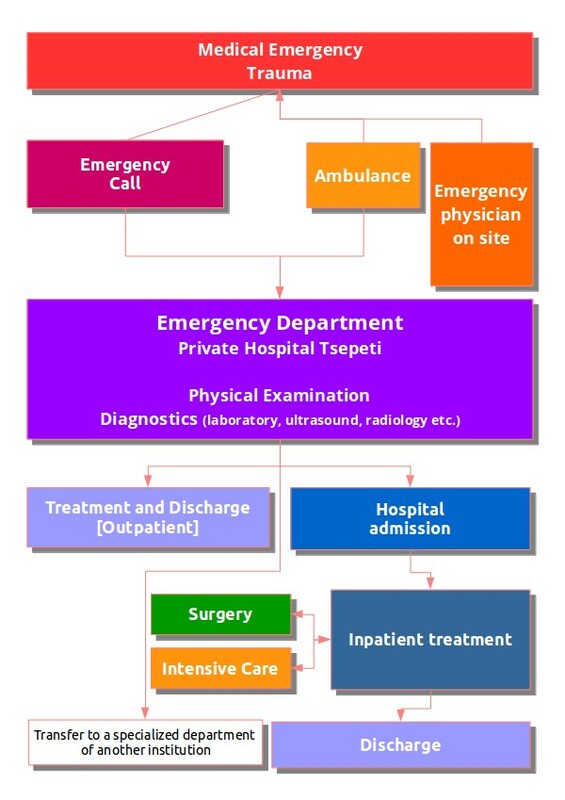 The location of the patient’s treatment depends on the type and severity of the illness; either on site (home or hotel), at a doctor's office or at the emergency department of the hospital. If necessary, an ambulance is always available. Public medical emergency system The public central medical emergency service in Crete can be reached by calling 112. Due to massive savings in the public health sector, in recent years, significant shortages of supplies and especially staff are often noticeable. Nevertheless, the private hospitals, clinics and doctors are not, unfortunately, yet officially included in the public central-call service.